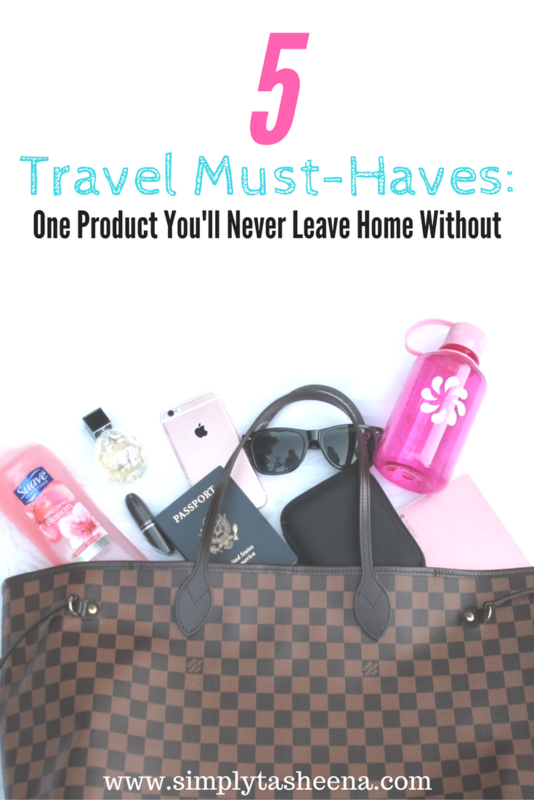 I often travel and I’m always asked what are my travel must-haves that I can’t leave home without and honestly, this is such a hard question. At the beginning of my travel journey, I would take my entire home with me if I could and as I’m becoming more of a seasoned traveler I’m starting to see that less is more and now only take the essentials. Trust me, less is more! I've learned that you only need those multi purpose products that are truly a life saver! Today I will be sharing with you five of my travel must-haves that I can't leave home without. These products will range from electronics to beauty. I think taking my phone with me while I travel is a no brainier. However, this summer I was introduced to the lifestyle of owning a power bank and I have converted my entire family to this lifestyle. Now, you might think “how is a power bank a must-have?” if you're anything like me and live a laptop lifestyle power banks are a total life savers and game changer. From making sure I have enough battery life to stay connected on social media to having an enough battery life to figure out where you're going with your GPS on your phone. Trust me, you'll miss another special moment again. These pills are magic in a bottle. They have so many amazing uses that are total life savers. Some of my favorite uses are to whiten your teeth, elevate gas and bloating, water filtration, treats alcohol poisoning and assists with traveling diarrhea. Activated Charcoal pills are like carrying magic in a bottle with you during your travel journey. I always keep a bottle handy while on my travel journey. A blanket scarf is just a travel must-have from, keeping you warm during a chilly flight to using it as a picnic blanket in the park while enjoying lunch. Let’s not forget actually being fashionable with it as well by accessorizing your attire or even using it as a shawl to keep you warm while sitting on a beach in the Bahamas. Trust me, always carry a blanket scarf with you on your travel journey. They will come in handy and have so many amazing uses. This is just non-negotiable. I always travel with antibacterial hand wipes and surface wipes. While traveling, I like to wipe down my plane seat and tray table with the surface wipes and when I don’t have access to good Ole soap and water. I wipe my hands with the antibacterial hand wipes. They come in handy, especially when in a country with amazing street food. Of course, I carry hand sanitizer with me too. However, I’ve found that the wipes work a lot better. After a flight the first thing I do once I check into my hotel and take a long shower. Especially after a long flight, I’m running to the shower. My body wash of choice is the Suave Wild Cherry Bloom. It's just what I need to unwind. Plus it just smells amazing and leaves my skin feeling super soft. I typically buy a bottle or two from my local Target prior to packing my suitcases for a trip. The Suave Wild Cherry Bloom is also perfect for freshening up after those vacation workouts or after spending the day at the beach. I love that my Wild Cherry Blossom body wash can easily fit into my luggage. Plus, I can easily transfer it to my travel size containers if needed. 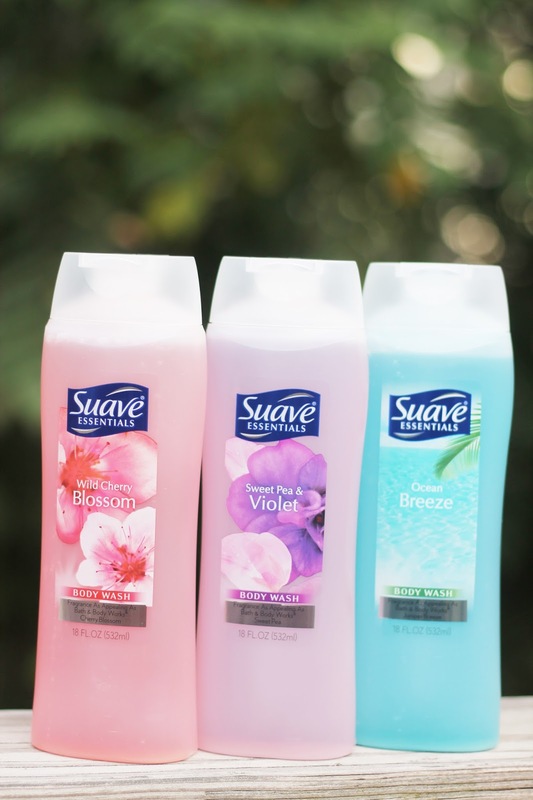 I love that Suave offers a variety of scents that fit everyone's needs, it's affordable and is the only one product that you'll need in the shower and your travel hygiene bag. Suave has twelve amazing scents to choose from. Not sure which one to choose from. Take the quiz! Take the Quiz and Save! Take the Quiz, let your senses decide and spend some time learning something new about yourself. I learned that the Wild Cherry blossom was the perfect match for me and I've been hooked ever since! Also, don't forget to use your exclusive rebate offer that you will receive after taking the quiz from Ibotta app. What’s your Suave Body Wash Scent? Great ideas-I've heard a lot about activated charcoal before but I don't even know where to get it! Any suggestions for a high quality product? I would have never thought of activated charcoal! Great idea! I definitely agree with you on the sanitizer - something i carry with me everywhere i go, and could definitely not travel without! This is some great advice! Never would've thought about activated charcoal! Also, although the font for your title is pretty, it is difficult to read (esp on mobile). Might want to choose a simpler one so it's more readable.